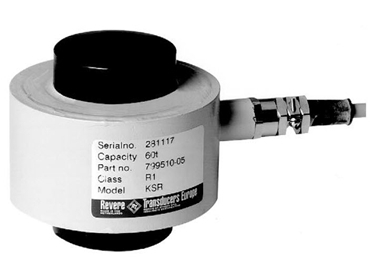 Specialists in process control and industrial electronic equipment, Instrotech Australia , are suppliers of KSR sealed, single column, compression load cells suitable for high capacity platform scales and general level control or process weighing. To ensure the strain guage is both sealed and protected, these single column, compression load cells feature stainless steel diaphragms and a coated steel housing cemented to the measuring element. Made to a low profile design, these single column compression load cells have an epoxy IP66 rated coating and a trimmed output. The trimmed output ensures easy and accurate parallel connection of multiple load cells. Suitable for high capacity weighing applications, such as tanks, silos, hoppers, these single column, compression load cells are available with specially designed self-aligning mounting arrangements for vessel weighing.